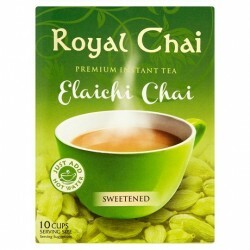 Premium Instant Elaichi / Cardamom Tea Unsweetened (220g). 10 servings of an aromatic tea infused with cardamom. Available in Sweetened version. Premium Instant Ginger Tea Sweetened (220g). 10 servings of a rich, aromatic tea infused with refreshing ginger. Available in Unsweetened version. Premium Instant Ginger Tea Unsweetened (220g). 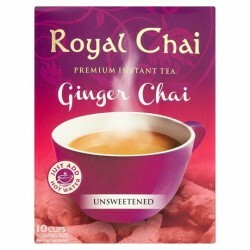 10 servings of a rich, aromatic tea infused with refreshing ginger. Available in Sweetened version. 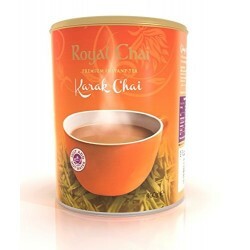 Premium Instant Karak Tea Sweetened (220g). 10 servings of a strong, creamy pick-me-up. Available in Unsweetened version. Premium Instant Karak Tea Sweetened (400g). A strong, creamy pick-me-up. Available in Unsweetened version. Simply scoop the mix into a cup or a mug, add hot water and stir! 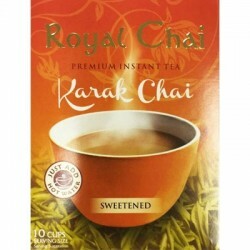 Premium Instant Karak Tea Unsweetened (400g). A strong, creamy pick-me-up. Available in Sweetened version. Simply scoop the mix into a cup or a mug, add hot water and stir! 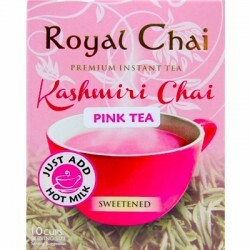 Premium Instant Kashmiri Pink Tea Sweetened (220g). 10 servings of a strong, creamy pick-me-up. Now you can enjoy the famous Pink Tea from Kashmir in the comfort of your home-instant satisfaction! Available in Unsweetened version. For a true authentic taste, sprinkle a little crushed pistachio on top! Make with hot milk. 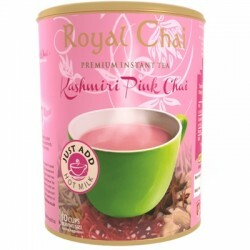 Premium Instant Kashmiri Pink Tea (400g tub). Now you can enjoy the famous Pink Tea from Kashmir in the comfort of your home-instant satisfaction! For a true authentic taste, sprinkle a little crushed pistachio on top! Make with hot milk. 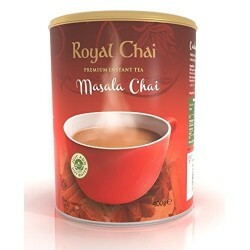 Premium Instant Masala Tea Sweetened (220g). 10 servings of a big flavourful team swirling with cinnamon, nutmeg, cardamom and a hint of ginger. Available in Unsweetened version. Premium Instant Masala Tea Sweetened (400g). A big flavourful team swirling with cinnamon, nutmeg, cardamom and a hint of ginger. Available in Unsweetened version. Simply scoop the mix into a cup or a mug, add hot water and stir! 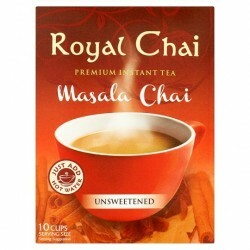 Premium Instant Masala Tea Unsweetened (220g). 10 servings of a big flavourful team swirling with cinnamon, nutmeg, cardamom and a hint of ginger. Available in Sweetened version.